At the end of last week's NCIS, we learned who Richard Parsons' real target was. Now, in a sneak preview of this evening's Season 10 finale, we find out why. 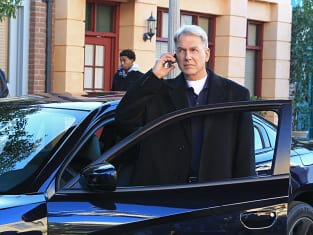 Any NCIS fan knows Gibbs is a man who isn't afraid to bend (or flat-out break) the rules to get the job done, so it's not a huge surprise that his track record has come under scrutiny. Still, it's interesting to watch Colin Hanks' character, a clearly ambitious DOD investigator, lay his motivations on the table like he does here, and make Gibbs the "offer" that he does. Jethro's response is typical of the man. But how our fearless leader fight back?